So often it’s the open-topped cars that we cast in our road-trip fantasies. And why not? It’s hard to imagine a better metaphor for the freedom and romance of the open highway than a convertible with its top down, inviting the wind to blow through our hair and the sun to caress our skin. In many cases, however, a closed car is the practical solution. While millions of people have dreamed of owning an Alfa Romeo Spider, reality has dictated its tintop stablemate, the GTV. Despite the more practical shape, this one is all Alfa Romeo through and through. Think of it as their popular Spider fitted with four-seat, closed-top bodywork. Up front you’ll still find the brand’s superb twin-cam engine; out back it’s their trusty stick axle. Between the two lies their proven five-speed transmission, and disc brakes reside at all four corners. The model run started with the 1963-’65 Giulia Sprint GT. Power came from a Weber-fed, 1570cc version of Alfa’s twin-cam engine. Alfa Romeo gave their smart coupe a new name starting with the 1965 model year: the Giulia Sprint GT Veloce. Displacement was up, too, to 1600cc. 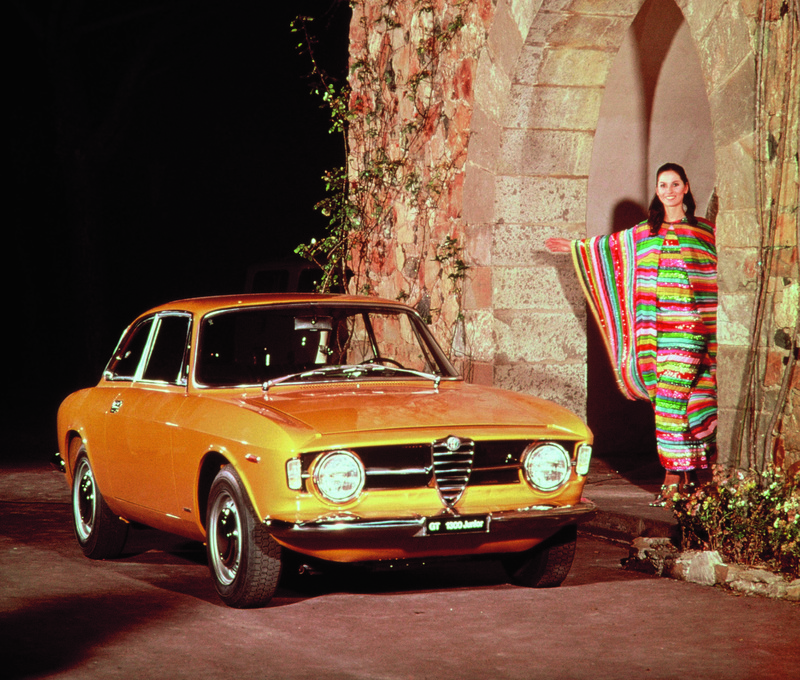 When the engine grew to 1750cc for the 1967 model year, Alfa Romeo tweaked the name again: 1750 GT Veloce. On American-market cars, SPICA fuel injection replaced the famed Webers. In addition to having more power, the 1750 GT Veloce also looked a bit different than its predecessors, especially up front: Gone was the small lip just before the hood, and a new four-headlamp grille had replaced the original two-light setup. The final evolution of the run is the 1971–’76 2000 GT Veloce. As the name suggests, displacement increased to 2.0 liters. And in keeping with the day’s trend, the taillights grew a bit. These Alfa Romeo coupes might have been aimed at a slightly more practical buyer, but they weren’t staid. Stateside, they helped dominate the day’s small-bore Trans-Am series. Today, they’re regular fixtures at vintage races, club gatherings and Sunday drives. Hagerty says that prices are on the rise, too: A blue-chip good-to-excellent 1967 car is currently worth about $30,000 to $40,000. Late cars are worth less, and some others can be worth more. No matter which GTV lands the starring role in your reality, expect head-turning looks, fun drives, and lots of club and shop support. Jerry Phillips has made it his mission to reinvigorate the Alfa Romeo community since opening Vick Autosports, a parts supplier for Italian autos. Here’s his expert GTV advice. The heart of the car is the engine. And since the engine’s basic architecture remained unchanged between the 1300, 1600, 1750 and 2000, it’s remarkably easy to swap motors to improve performance. The late 2000s had nice fuel injection with high-compression pistons and electronic ignition. These parts can be retrofitted to the earlier motors to help bring them into the modern era. There’s a whole world of options for cross-matching parts and accessories. (This, of course, invites the originality-versus-more-fun debate.) The upward movement of GTV values has helped offset the dwindling numbers. In other words, expect to pay a little more for interior bits and exterior trim. One of the problems with the engine design is its extremely large valve cover and lower pan gaskets. Even when great care is taken to evenly torque the bolts, it’s difficult to evenly seat the gaskets. After extensively investigating gasket materials Vick Autosports now offers superior, thicker gaskets for these applications. Their extra “crush” creates a better seal. Alfa Romeo’s mechanical fuel injection, SPICA, is generally thought of as a well-designed, albeit rare, system. Sadly, since U.S.-spec cars made up the bulk of SPICA-equipped examples, SPICA parts are getting tougher to find. Here’s the good news: Dual carbs are an excellent substitute. Alfa Romeo got the original setup just about perfect. However, the expiration date for the original, 40-year-old suspension components is long past. Vick offers affordable replacement springs, Hydrasport shocks and aftermarket wheels, among many other options. In the early 1970's my buddy's wife (now long time ex) was driving across Canada in a 1750 GTV with the twin webers. It broke down in some out of the way hick town on the prairies along the trans Canada highway. Local mechanic told her that it would take several days to get parts shipped in from Calgary. She was in a hurry to get to Vancouver so told the mechanic "give me $400. and its yours". He paid and she caught a bus. My '73 remains one of my favorite cars I've owned. What a sweet car and in my opinion, a much better driver than any of my Spiders. Once the Spica was sorted and an electronic distributor added, it was fairly reliable too. So much fun to throw around and drive sideways. racerdave600 wrote: My '73 remains one of my favorite cars I've owned. What a sweet car and in my opinion, a much better driver than any of my Spiders. Once the Spica was sorted and an electronic distributor added, it was fairly reliable too. So much fun to throw around and drive sideways. +1, and we have no plans on getting rid of my Gold car. One of the most fun cars I've ever owned. But if anyone is interested in racing one of these, I have a race car for sale. Alfadriver, tell me more about the race car you have for sale. Tim Suddard wrote: Alfadriver, tell me more about the race car you have for sale. It's a '74 GTV that was previously used as a ITB car in Pennsylvania, and I bought it back in 2005. It was not as nice as I hoped, and it took quite a few years to work through it. Almost got done for the 2007 Convention here in Detroit, but didn't. Finally finished the work in 2012 enough to autocross it once. Then minor skin cancer was the beginning of the end of my racing. The engine is a well warmed over ITB motor- with cams and intake from an Alfa specialist in Florida. I've never tuned it or dyno'd it, but it's considerably faster than my gold car- between the higher power and lighter weight. The trans is a semi-close box with lightened gears, which is a pretty popular conversion. Suspension is Orion Engineering- extended front spindles, rear mounted sway bar, springs all around. Rear is stock geometry, but I have fabricated a panhard bar + a new trailing link set up. The rear axle is an odd ball 4.78 ratio. And I have a 4.10 to go with it. Since it's been a while, the issues list has grown a little- the clutch needs redone, and I'm sure the safety items have dated out- fuel cell bladder and harness. I have many spares to go along with it- enough to make another powertrain. I have a soft spot for these cars; beyond the obvious good looks I had one of my favorite race battles with a driver of one during a Alfa Datsun Porsche shootout race. Great sound from the twin cam coupled with excellent handling made it pretty hard not to admire. I still had the 1171cc in the Datsun at that time so was pretty much a lost cause on my part. I actually like these more than any spider. Perhaps we'll see a GTV race car project in a future issue.......ring ring Hello Tim it's your addiction calling. That future can be sooner rather than later.